Hawkeye Pierce is now a Doctor! Or at least the actor who brought his TV persona to life now has the degree to prove it. Except he is a Doctor of Law rather than medicine. 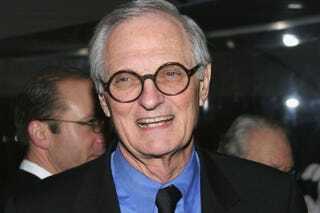 M*A*S*H and West Wing actor Alan Alda received an honorary degree from Dundee University yesterday for his work promoting the communication of science. Alda, 81, was made a Doctor of Law at a graduation ceremony in the city’s Caird Hall. He previously helped fundraising efforts for a forensic science centre at Dundee University. The actor is honoured by Dundee University for his work promoting the communication of science.